ABCoS IT offer web design and hosting services to businesses of all shapes and sizes. We are passionate about creating clean, simple web sites that deliver effective results for our clients and their customers. We also provide great value hosting solutions for your domains, e-mail services and web sites. Whether your need is for a single domain, a simple brochure site or a full database driven e-commerce web application, we are able to provide you with a complete service. With over 18 years of experience supplying quality IT solutions to a wide variety of businesses, you can be assured that the advice, support and services we provide will meet your needs effectively - both now and as your business develops. We also provide training in Microsoft Office products including Excel, Word, PowerPoint, Access, FrontPage, Publisher and Project. Click here for further details. This is our passion. Even if at the moment you feel you 'just want a web site', we are experienced in helping our clients understand their own needs first before we lay finger to keyboard, as demonstrated in our case studies. Even with our support, choosing which features and facilities you require can be difficult at the best of times. This is why we have developed our fixed price web design packages that offer supreme value for money while retaining the flexibility to meet your precise, individual needs. ABCoS also provide expertise in the design, construction and hosting of database driven, web based applications - an exciting method of improving productivity and reducing costs that is proving increasingly popular with businesses of all shapes and sizes. Whether you are considering your first web site or you feel it is time to review your existing arrangements, ABCoS is the ideal partner to develop an effective web presence for your business. The following case studies demonstrate our ability to deliver easy to use, functional and attractive web sites that satisfy the needs of our clients and their customers. We are proud that while many of our sites use quite complex technologies 'underneath the bonnet', such as interactive features and database integration, they still appear simple to the user. One key to our success is that we keep the needs of the end user in the front of our minds during the whole development process. Deciding what you want from your web site can be difficult at the best of times. To help you make your decision we have put together a set of fixed price packages. If any of these do not quite meet your needs you can still supplement them by choosing additional services from our full product range. Ever wished you could access company data from home or when out on the road? Would your customers or suppliers benefit from being able to view key information such as pricing on your web site even when it changes on a daily basis? Would you save time and administration costs if you could collect key information directly from your customers, employees or suppliers via your web site? These are just some of the situations where a web application can help your business. A Web Application is like an ordinary computer program, such as a word processor, that you install on an individual machine. It differs in that it is installed on a web server, typically in conjunction with a database, so that it can be accessed by any authorised person with an internet enabled computer. Another major benefit is ease of maintenance as there is only one copy of the software to look after - and we do that for you. Typically Web Applications are provided as services so you only pay for the components you use. ABCoS IT have many years experience in designing, creating and hosting database driven, web based applications of which PictureSelect, our online photo ordering system and our Hosting Control Panel are two examples. If you are interested in exploring the benefits of online web applications for your company please contact us. As resellers for one of the UK's biggest web hosting companies, we can offer a full range of hosting services at highly competitive rates. We provide all our hosting customers with a personal control panel to help them manage their account. This helps us keep our administration costs low - savings which we pass on to you. Note: All prices are annual unless otherwise indicated and are indicative only. Actual charges may vary from those shown on this site should our supplier prices differ at the time of placing your order. However, in such an event we will always inform you of any price changes and seek agreement from you before proceeding on the revised basis. All our hosting customers receive access to a personal control panel from where they can order additional services, check renewal status and pay invoices. Click here to access the ABCoS Hosting control panel. We are able to accept payment for ABCoS invoices via PayPal, the secure online payment service used by millions around the world. If you have an invoice from ABCoS that you would like to pay online please enter the number and value of the invoice in the boxes below then click the 'Make Payment' button. Please refer to your invoice for alternative payment methods. We are always striving to improve the level of service we provide. An important part of this philosophy is gaining feedback from our customers. If you would like to comment on any of the services we have provided to you or your business please click here to complete our feedback form. "This looks excellent. I've worked in IT for 20 years and have never seen a first design that was such a good 'fit to requirements'." "You have a designed a great online ordering system - I believe its a winner! The feedback from customers going online is great." 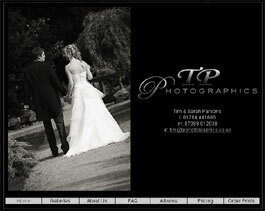 During the last 5 years we have produced web sites for many professional photographers and their suppliers. 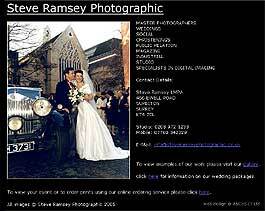 In the process we have developed a range of services aimed specifically at the Professional Photography Market. Details of these services can be found using the links above. Our image transfer service is aimed at print shops and their pro photographer clients. It enables the photographer to send their image files to their printer digitally via the Internet. The secure and easy to use file transfer facility provides many benefits over more traditional methods such as 'snail mail' and e-mail, resulting in faster turn around, reduced errors and less administration. For more information about this service please contact us. We designed Tim and Sarah Parson's original web site for them a couple of years ago when they were a fledgling business. Now that they are very successful their target market has changed and they need a new web site to match. 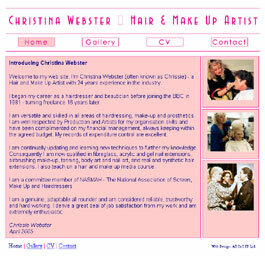 Christina Webster is a Hair and Make Up Artist with 24 years experience in the industry. 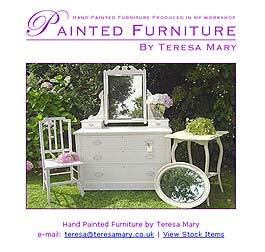 She came to us with an existing web site that needed 'bringing into the 21st Century'. Chrissie had a good idea about how she wanted her new site to look - specifically that it should involve pink! As a freelance, she also needed a facility to present and manage a cv listing of her recent work placements. We were able to deliver this feature without using databases in order to keep the ongoing costs down. imageprintandframe.com will transfer your favourite pictures onto a range of modern and traditional mounts. 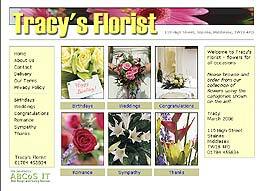 They needed an easy to use, cheerful web site to describe their services and to capture order information.